A comprehensive, whole-government approach is needed for a successful domestic agricultural policy, the NFU says as it begins consulting with its members on a new policy this week (week commencing 19 March 2018). Find a consultation meeting near you. The NFU has set out seven ‘key tests’ to assess the success of the government’s proposals and will use these principles as it responds to its consultation. NFU President Minette Batters said: “The creation of a new domestic agricultural policy is the most significant step change for the food and farming industry in decades. It is vital for us to hear the voice of the membership during this important consultation period. “We know for certain that a new policy needs to be fair to all active farm businesses - irrespective of size or system – providing enough time and certainty to plan, adapt and invest. 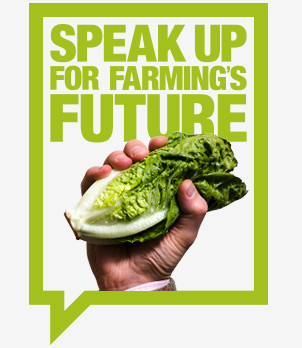 “We have a vision for British farming to be more profitable, productive and competitive outside of the EU; a future where British farming can continue to be respected by society for its high standards of food production, environmental care and animal welfare. Comment: Seven policy tests and nothing about food production? What is farming about?